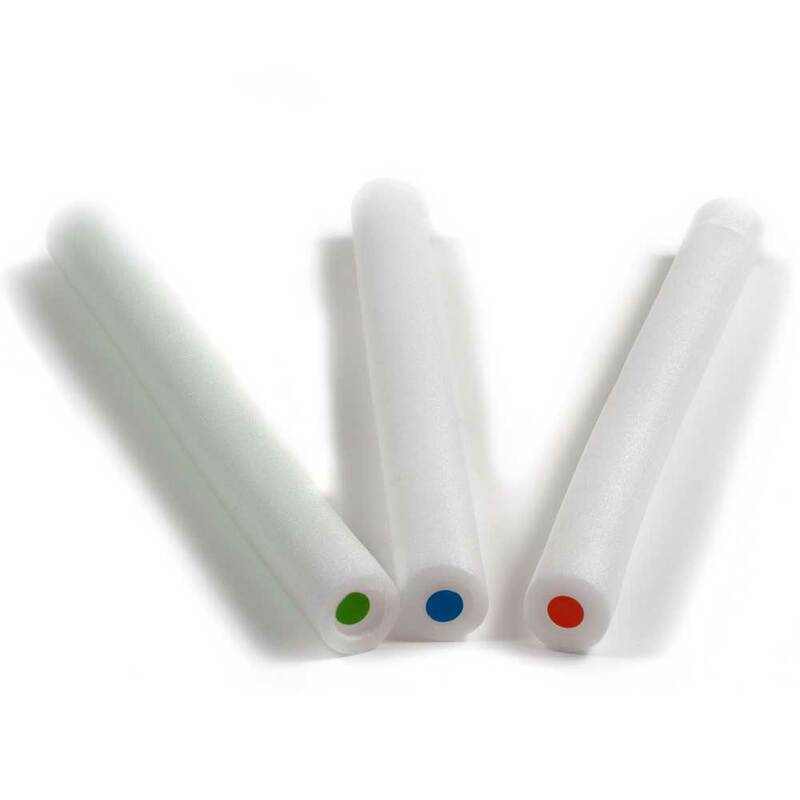 Wholesale lot of 144 Deluxe Rally Sticks. 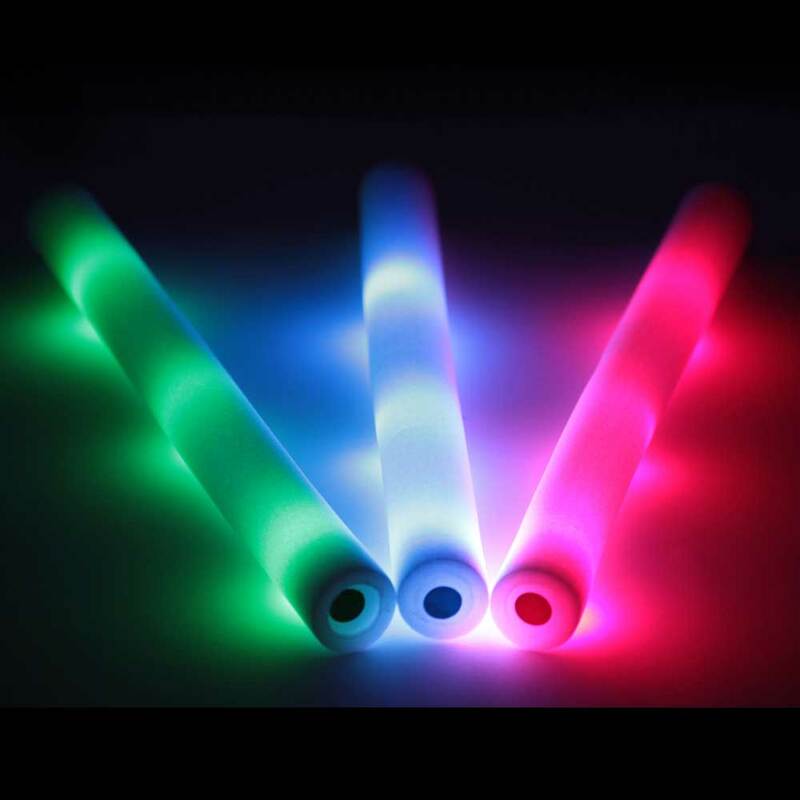 These cool 16 inch light-up rally foam sticks are very light weight, durable, and feature six (6) light-up modes. Shake these around at your event and get noticed! 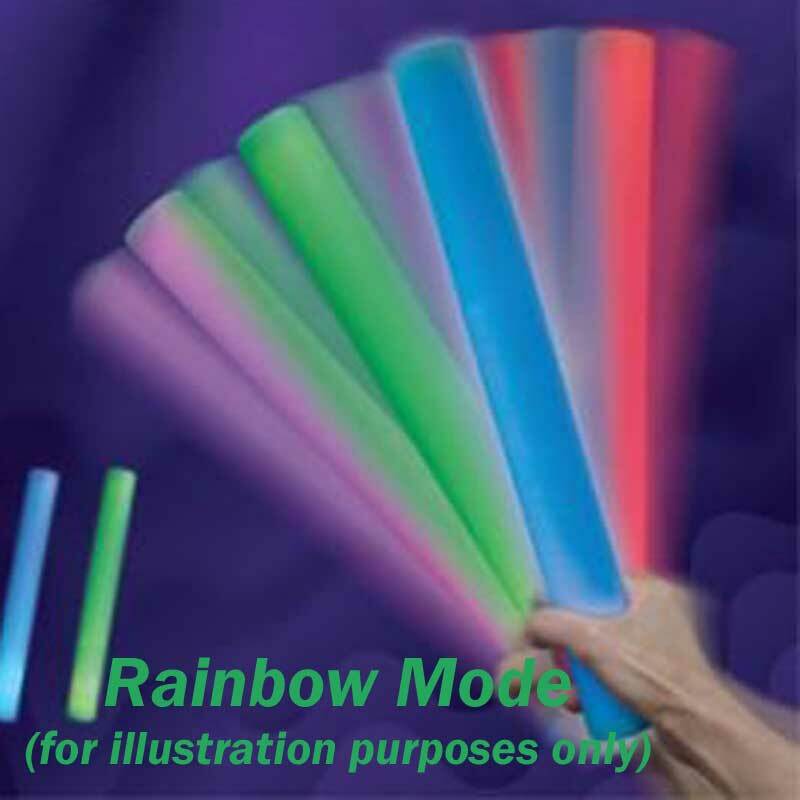 3 LED lights, (1 red, 1 blue & 1 green,) flash in a choice of 6 modes: Strobe, (producing a cool rainbow effect,) flashing, clor changing, and each of the solid colors. Push the button on the bottom to turn on, then again to change mode, then just wave around! Compare to "White Lighning Stick". Great for basketball games, concerts, raves, parties or any other night-time event. Can be imprinted with your custom message/logo for promotion of your company or event. With combined Shipping & Handling! We are a wholesaler and offer quantity pricing for your event, promotion, or for resale. Check out the Wholesale Lots Wholesale Lots section for details. Get a dozen pack and enjoy wholesale pricing. Or, get a full case for your entire event at even greater savings. Comment on this item in our Product Updates Blog. Copyright © 2000-2019 Odulo Enterprises. All Rights Reserved.